It’s a strange irony that the very actions many companies take in an attempt to grow often stops them from growing. The most obvious recent example is Netflix. Once a darling of customer focus and innovation it has been faced with some difficult growth decisions recently, the result of which has seen 810,000 customer leave. 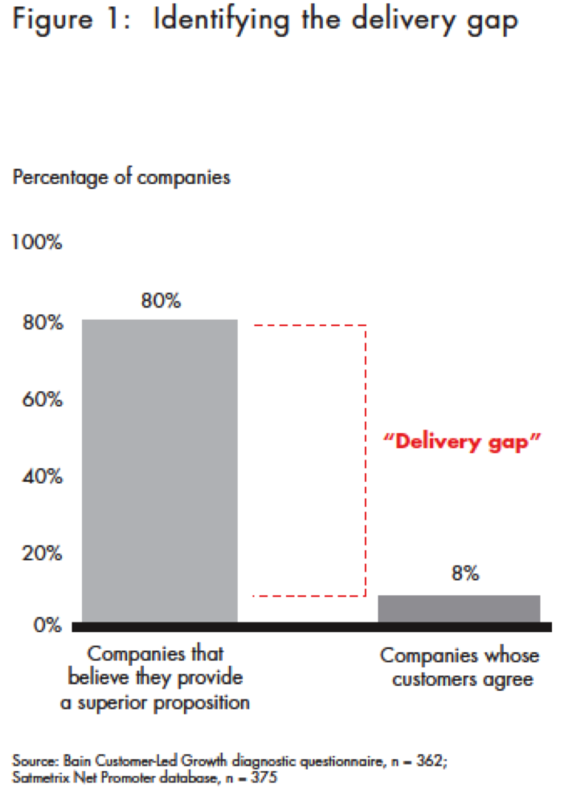 So what do the 8% of companies that have alignment with their customers do? Firstly they really understand what their customer’s find most valuable about their products and services. Secondly they understand who their most valuable customers are and they create strong compelling and different value propositions for them. Not only do they identify the value propositions but they actually deliver them. This is where culture comes in, it’s not good enough to know what the value proposition is, you need an organization that is willing and able to align around it and make it happen. This requires a organization-wide mindset that is customer centered, not just company centered. Are you leading that type of organization? I was recently asked by a client, “if you could only have one measure to manage your business, what would it be?”. I quickly thought about the range of metrics available to executives today: profit per customer, market share, revenue growth, customer satisfaction, new product success, share price… the list goes on. However the one metric that always comes to mind is one that not many businesses use, lifetime value of customers, and yet it is the most powerful. 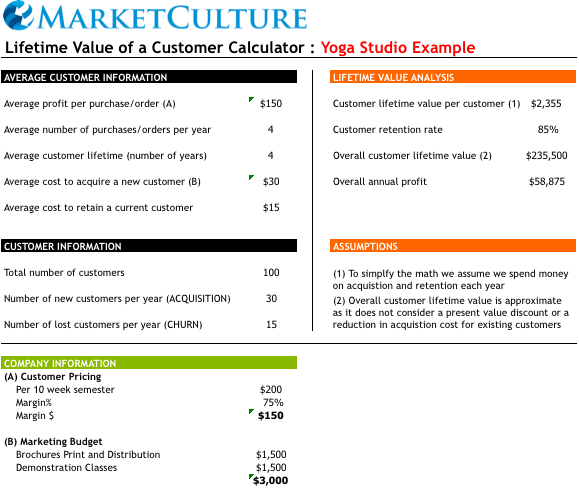 This metric provides a long term customer centered view of your business. 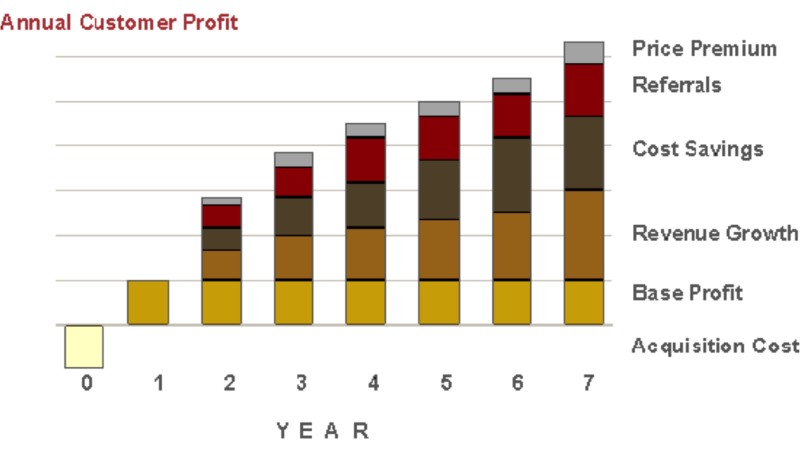 What is the value, in profit terms, of an average customer over the potential life of your business relationship? This is not a static number but an active one that can be used to value your business and identify opportunities to grow that number. It’s real power however is in galvanizing everyone in a company around the importance and value of customer relationships. It proves the tangible logic for why every interaction matters and connects everyone with the ultimate customer. This is a simple business concept that is not necessarily that widely known. 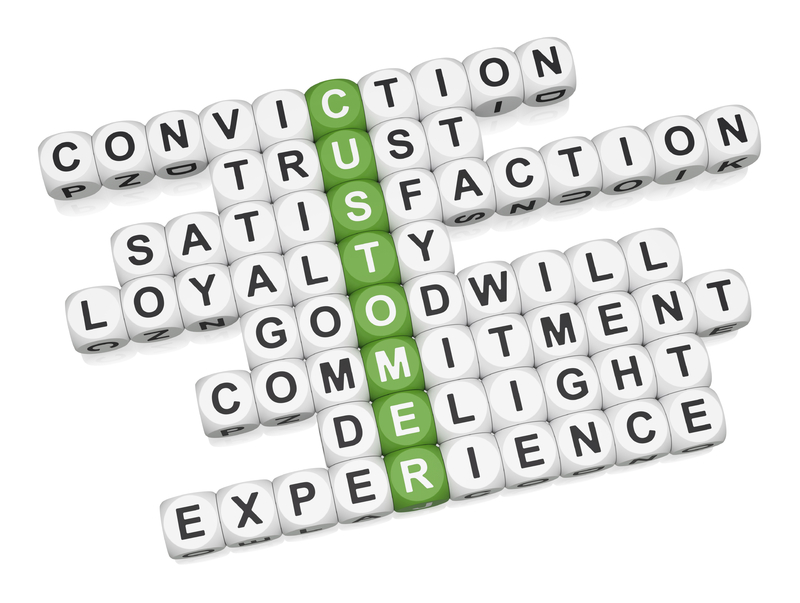 Intuitively we understand that customers that are loyal and keep coming back are the heart of business. However when was the last time you quantified this value? When you take a look at the numbers if becomes clear that managing customers as real assets is a powerful way to grow profitably. You can see that if you provide a product or service with real tangible value to customers they will not only buy more from you but tell everyone they know to buy more from you. They also tend to be more interested in other products and services you offer. Plus as they become familiar with you it costs you less to service their business as they know how you operate. The very best modern example of this on a mass scale is Apple, customers are attracted by the iPod, transition to an iPhone and or an iPad then get interested in a Mac computer… a virtuous cycle that has seen Apple’s revenue and profit grow exponentially over the past 5 years with no signs of slowing. In the next post we will take a look at how you can calculate this for yourself.